In 1595, Sir Walter Raleigh sailed to South America in search of the fabled 'El Dorado'. Gold had long fascinated Europeans and he was determined that his expedition would bring back untold treasures. He travelled up the Orinoco River which flows through what is now Venezuela, but his search was in vain and there was little to show for it except his remarkable account of the journey, 'The Discoverie of the Large, Rich and Bewtiful Empyre of Guiana'. 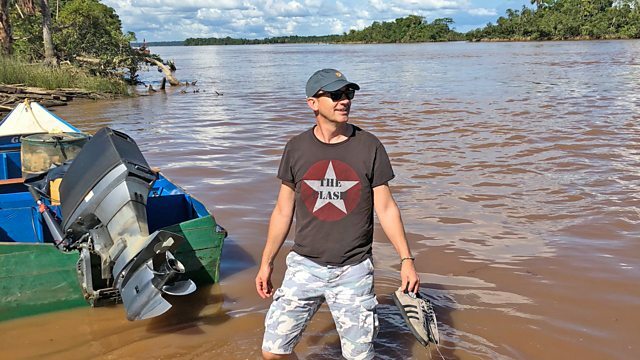 Jerry Brotton takes this as his guide as he travels to Trinidad, Raleigh's staging post for the journey, and then into modern day Guyana for his own journey in search of gold.